Founded in 1988, Montair was established with the goal of training future professional pilots to a skill and knowledge level that would allow them to serve the airline industry with minimal further training required. Due to strong demand for skilled airline pilots from China's rapidly growing aviation industry, the company took a new direction in 2005. Montair was and continues to be one of the few schools around the world to receive approval from the Civil Aviation Administration of China (CAAC) to train airline pilots. The company has developed an advanced airline training program, designed to provide the most professional, highly skilled pilots to the airlines. To date, Montair has trained and graduated hundreds of airline pilots, a number that continues to grow. Montair is one of the fastest growing flight training schools in the country. It is a fast paced environment, with objectives that are continually evolving. 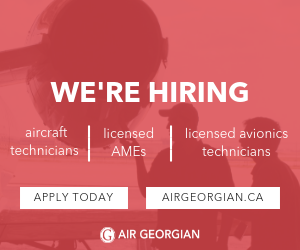 Currently looking to hire a full time Flight Instructor for our base in Red Deer to act as a Flight Instructor for our Integrated ATPL program training. Class 3 instructors have a base salary of $44,000 per year and bonus criteria, which are intended to be highly achievable. Additional training hourly pay is available at $25 per hour based on the employee completing more than 50 hours of flight and/or simulator training per month. Senior Class 2 instructors have a base salary of $63,000 per year and bonus criteria, which are intended to be highly achievable. Additional training hourly pay is available at $35 per hour based on the employee completing more than 50 hours of flight and/or simulator training per month.